Kilkenny's Jimmy Bolger shot a one-over 73 to fly the flag at the First Stage of the Qualifying School for the Staysure Tour in Portugal. Just five spots on the rebranded European Senior Tour will be on offer at next week's Final Stage at Pestana Golf Resort on the Algarve. But with only the top 19 and ties progressing to the Final Stage from each of the First Stage qualifiers this week, Bolger (50) is in position after he made three birdies and four bogeys to share 13th at Gramacho Golf Club, five strokes behind American Jim Riegger. 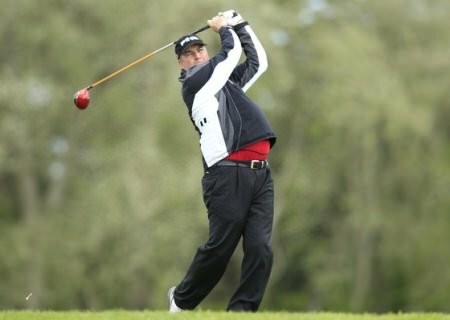 Ballybunion amateur Peter Sheehan and big hitting Belfast professional Damian Mooney are 33rd at the same venue and three shots outside the magic number after five-over 77s. Sweden's Fredrik Almskoug shot a five-under 65 to lead by a stroke from Argentina's Rafael Gomez at Pestana Golf Resort's Silves Course. But Christy O'Connor, who is a son of the late Christy O'Connor Snr, lies joint 63rd after an 11-over 81 with amateur Mark Somers 69th after an 84. Headfort's Brendan McGovern won the Qualifying School 12 months ago and retained his card for 2018 by finishing 20th on the Order of Merit. Damian Mooney made a solid start at Q-School in Scotland. Picture: Eoin Clarke www.golffile.ieBallyliffin’s Damian Mooney and Cork’s Peter O’Keeffe were the only Irish players inside the qualifying places after the opening round of the European Tour Qualifying School First Stage qualifier at The Roxburghe Hotel and Golf Course in Scotland. Rory: "I didn't embrace my first chance at it at Augusta"